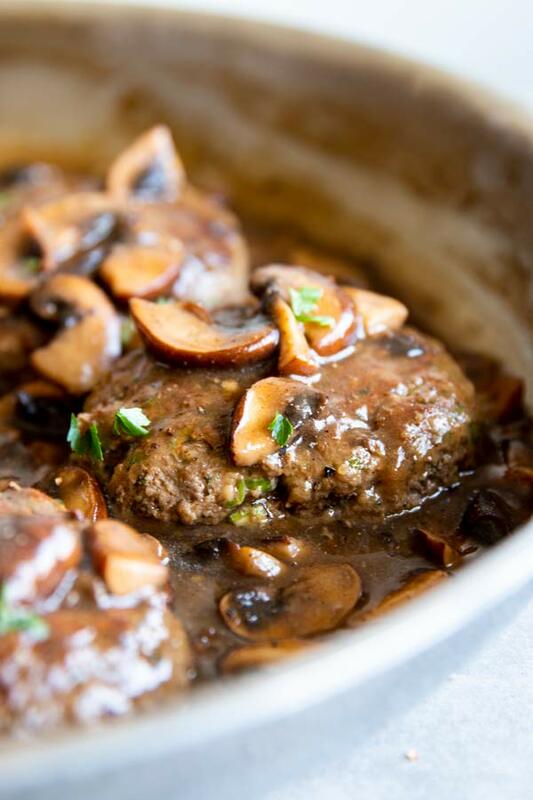 This Salisbury Steak with Mushroom Gravy recipe is absolutely amazing! 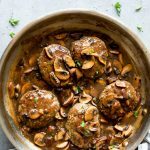 Juicy ground beef patties are smothered in a rich mushroom sauce for the ultimate healthy family dinner. 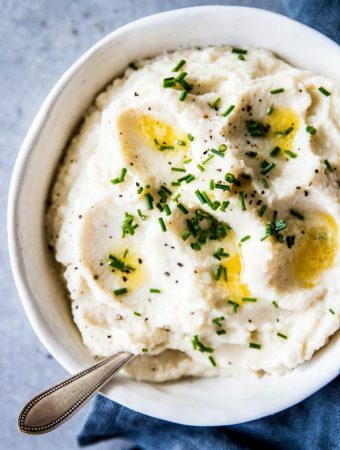 This recipe is great for Trim Healthy Mama (THM S), low carb and budget friendly. 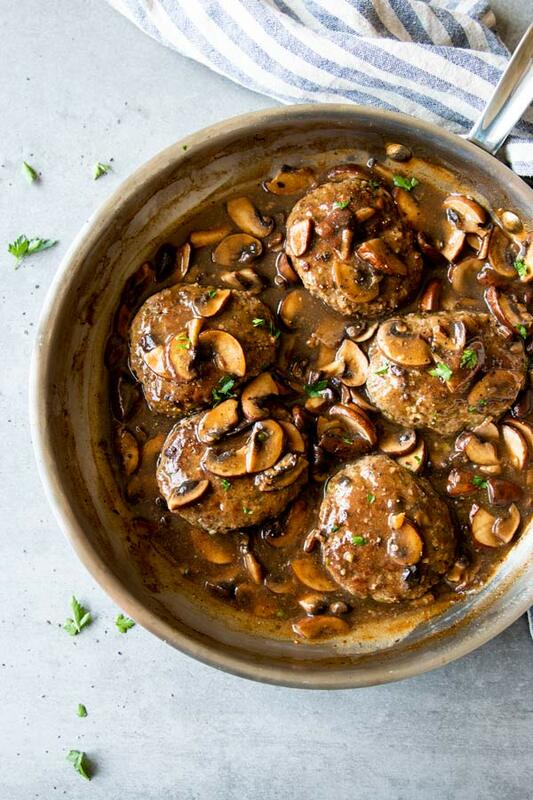 Did you grow up with Salisbury steak as a staple meal? I totally didn’t. I grew up with parents who both tried very hard to escape their countryside, homestyle background and live the sophisticated city life. Anyways, I grew up with kale salads and sushi, definitely not macaroni salads and Salisbury steak. Maybe I need to over-compensate now? But I love the kind of food my grandma cooked for me on their farm, and I make it all the time for my family now. 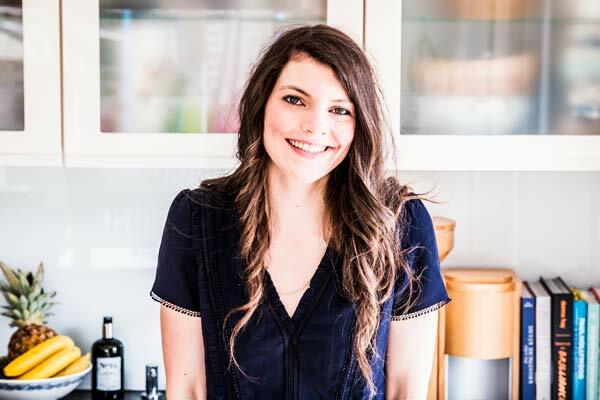 Since I’ve been on Trim Healthy Mama for a while now, I’m working on transforming all our favorite dishes into plan-friendly meals – things like meatballs and sour cream pork chops and all the things. 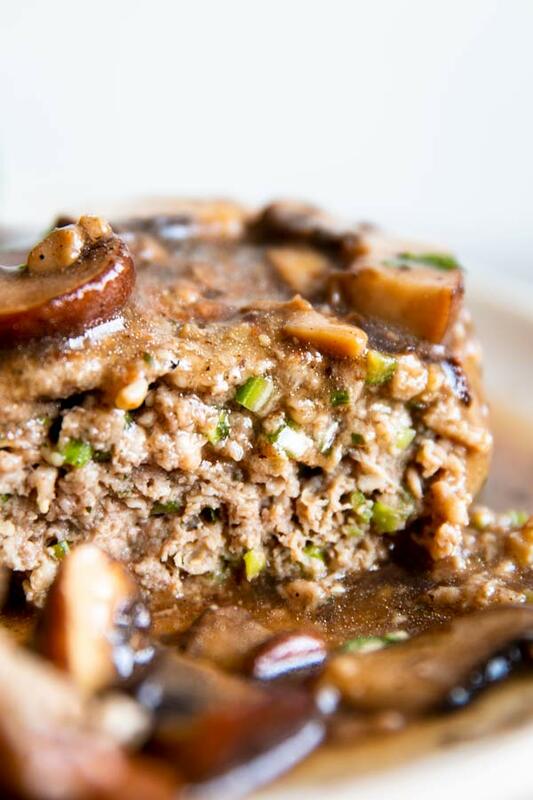 And this Salisbury Steak with Mushroom Gravy is such a success, I had to share! This is a really great s meal if your on the THM plan. 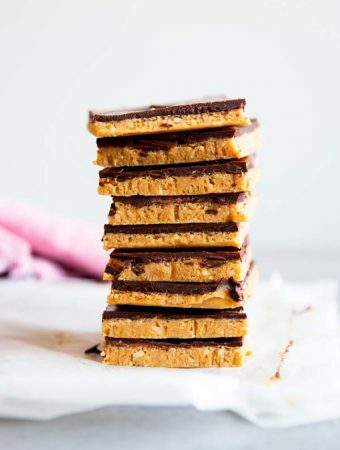 It’s also dairy-free (apart from the butter, but no cream or anything) but it has some oat bran in it, so it isn’t quite deep s, but also not quite heavy s.
Now if that’s not a great and homey way to gather your family around the table, then I don’t know what is! 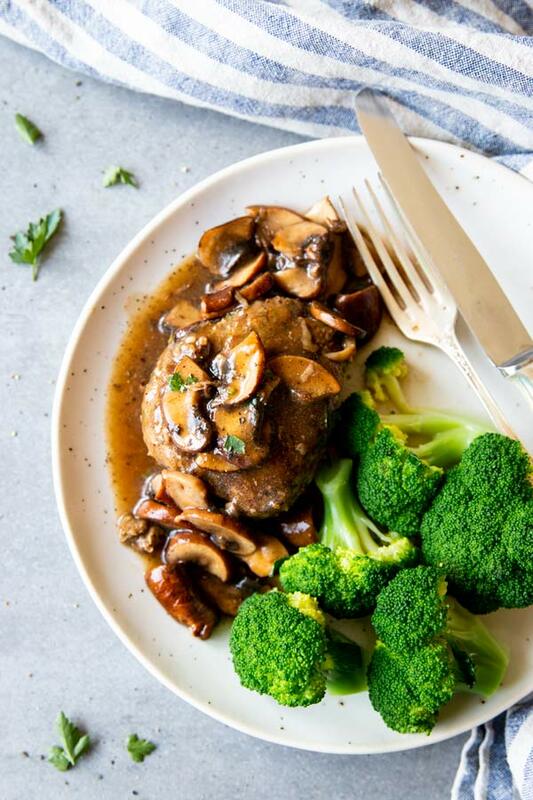 How to make Salisbury Steak – Trim Healthy Mama style! Really, I haven’t used my hands to mix ground meat for meatloaf or meatballs or anything in years. Just use a hand mixer with the dough hook attachment! Or if you’ve been blessed with a large family, double the recipe and use your stand mixer. It’s easy, it’s quick and relatively mess-free. 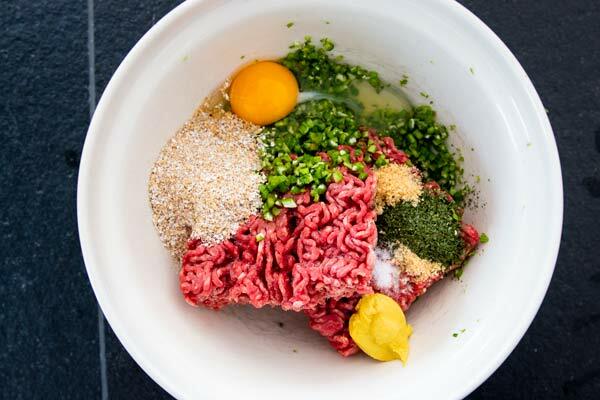 Just mix slowly and carefully and use a large bowl so the meat doesn’t go flying all over your counter. The steaks turn it much nicer and juicier if you don’t brown them until they’re cooked all the way through. Instead, just brown them for a few minutes on each side, then finish cooking them right in the gravy. I like to baste them with gravy as they simmer, to keep them extra juicy and delicious. I like a thick gravy and my husband prefers it thin – so I compromise and find the happy medium. Start with a small amount of thickener, then adjust to your taste. And remember: The gravy thickens as the steaks simmer in it for around 10 minutes, so it’s a good idea to wait until the cooking time is up to make last minute adjustments. Yes, you can freeze the cooked steaks in the gravy. 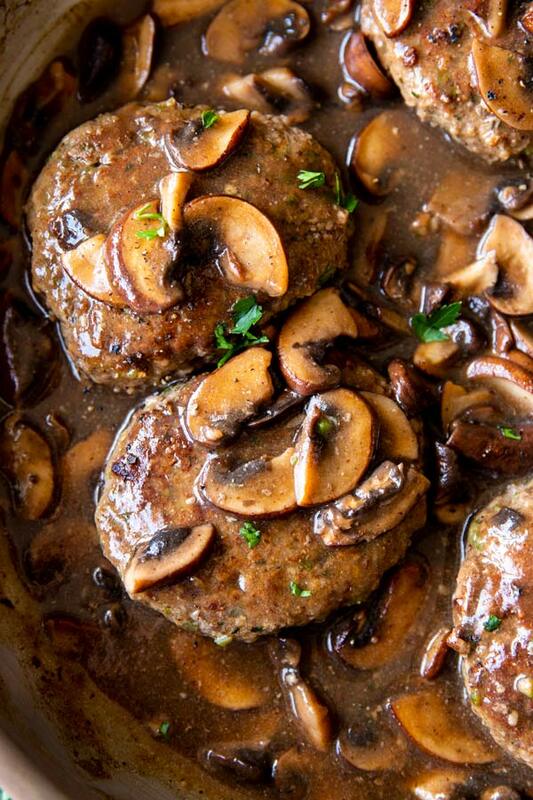 What sides go well with Salisbury steak? 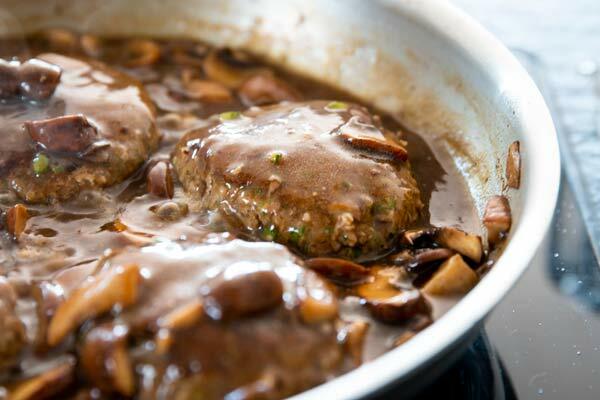 I love the comfort food feeling of Salisbury steak, so I like to make a homey meal of it. 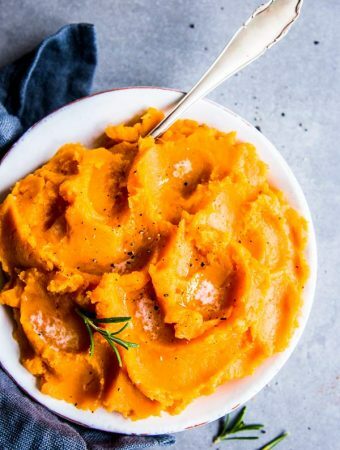 For my kids and husband I sometimes make mashed potatoes or mashed sweet potatoes as a crossover. Make the steaks: Add all ingredients for the steaks to a large bowl and mix well (I use a hand mixer with the dough hook attachment). 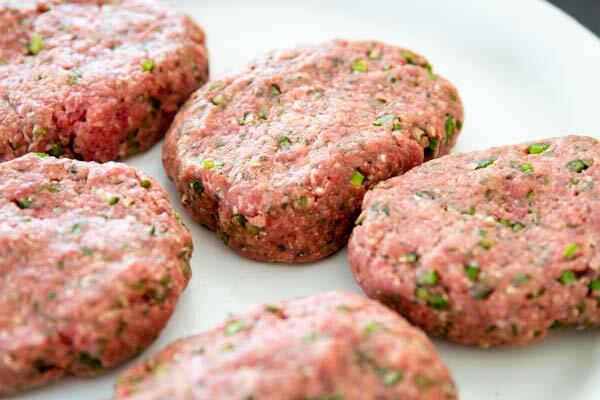 Shape 5 equal patties and set them on a plate. Brown the steaks: Melt 1 tablespoon of butter in a large frying pan over medium-high heat. Brown steaks on either side, about 3 minutes each (don't worry about cooking them through just yet). Remove and set aside, cover. Do NOT wipe the pan! Make gravy: Place the pan back over medium-high heat. Add another tablespoon of butter. Add the mushrooms and 1 tablespoon of water and cook until softened, scraping browned bits off the bottom of the pan. Pour beef stock and Worcestershire sauce into the pan. Add onion powder and stir well. Bring to a simmer. Thicken and cook: Stir the Glucomannan into a small amount of cold water, then pour it into the gravy and immediately stir well to thicken. Add the steaks back into the gravy and simmer for 10 minutes or until cooked all the way through. Baste with gravy from time to time as they cook. Finish: Store the remaining tablespoon of butter into the gravy (optional, but luscious) and serve with your favorite sides.